Chemical dispersants applied from a plane onto the Gulf of Mexico spill removed oil from the water’s surface but did not help fully degrade it, a new study claims. Scientists also found the dispersants hurt useful bacteria that were helping the clean-up. After the spill from the Deepwater Horizon rig in 2010, which led to 172 million gallons (650 million liters) of oil flowing into the Gulf, the chemical agent Corexit 9500 was sprayed from the air onto the slick. 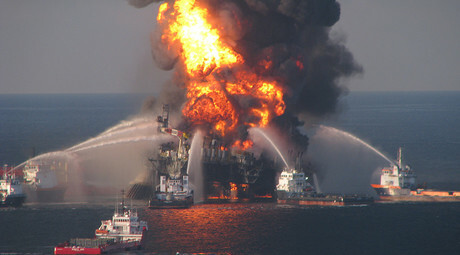 It was used in efforts to degrade the spill and assist maritime bacteria to remove the oil faster. At a surface level, the maritime area affected by the spill seemed to become cleaner, but the bacteria and chemicals themselves were not properly monitored, according to University of Georgia marine scientist Samantha Joye. To analyze the efficiency of the chemicals, Joye’s team modelled the process in a lab, where samples of the dispersant, BP oil, and sea water from the Gulf of Mexico were used. The chemicals did not help the bacteria remove the oil, and even hurt one oil-eating bug critically important to dissolving the spill, according to the study, published in the journal Proceedings of the National Academy of Sciences. The main type of oil-eating bugs are sausage-shaped bacteria called marinobacter, according to Joye. They eat oil frequently, but in an environment with a large supply of oil, marinobacters tend to eat and multiply dramatically until they comprise as much as 42 per cent of all bacteria in the polluted water, thus fastening oil degradation. However, as Joye’s study revealed, when chemical dispersants were applied, the bugs did not grow at all. Another family of bacteria continued to multiply, but their efficiency is far from that of marinobacters, Joye says. 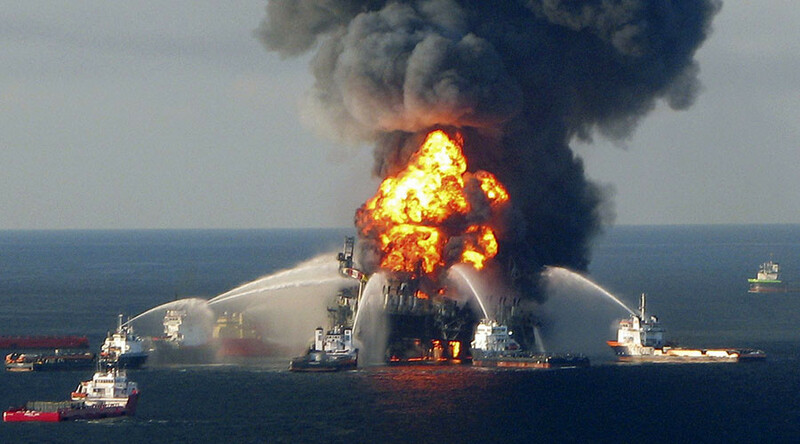 Given these findings, scientists believe the rest of the oil might have gone to the floor of the Gulf, which may question the efficiency of BP’s efforts to fight the oil spill with chemical agents. The US National Oceanic and Atmospheric Administration welcomed the study, said agency spokeswoman Keeley Belva, as quoted by the AP, and will evaluate the findings to determine how well dispersants work in the future.